A guilt free, quick and easy anytime dessert. Also delicious as a breakfast topping over yogurt or oatmeal. 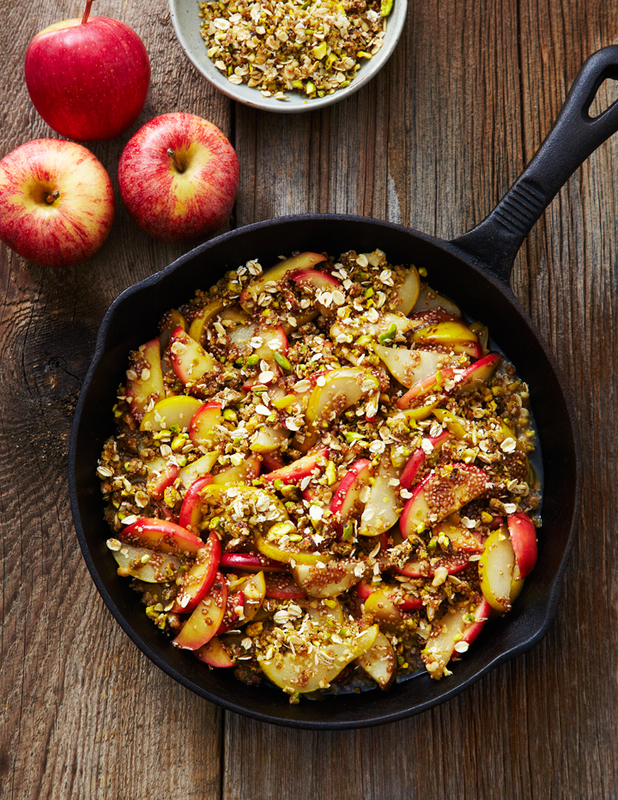 In a large sauté pan over high heat, sauté apples and pears in coconut oil for two minutes. Stir in maple syrup, almond milk, chia seeds, lemon juice, cinnamon, vanilla and salt. Reduce heat to medium and simmer for eight minutes until the liquid has reduced and mixture has thickened. Serve warm sprinkled with date and nut topping. For topping, pulse dates, walnuts and pistachios in a food processor to a coarse crumble. Add oats and pulse twice to incorporate.